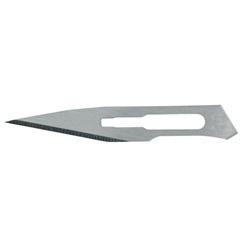 Stainless steel general-purpose blades are disposable and provide a smooth, sharp edge for a precise incision. Sterile. Sold 100 per box.